Mad Dog GTA was released on July 25th, 2017, owning merits of Mad Dog and overcoming the shortcomings. Breakthrough: 3D encircling air inlet; stainless steel; gorgeous and fashionable color; accessible to the widest coil (3 mm); no difference for vapor produced by single and double coils; long lasting performance; Clapton coil as accessory; easy to install.It is a good news to beginner vaper. 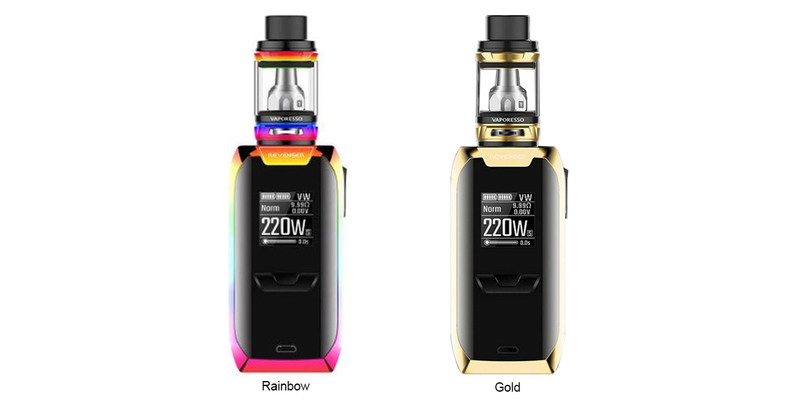 Here comes the Rainbow Vaporesso Revenger TC Kit with NRG Tank, an 220W output power revenger MOD and 5ml capacity NRG tank. Massive 0.96-inch screen and 2A quick charging system upgrades your vaping experience to a new stage. The RCT function offers a precise way to know the charging time. NRG tank, which features the innovative interchangeable GT core and slide-n-fill design, will bring a pure flavor and an easy operation to you. Revenger and NRG tank is a great combination to provide a superb vaping experience. The Lost Vape Paranormal DNA 75C Mod, is the device that reflects the spirit of creativity of Lost Vape. It follows a classic design examples, combined with exotic materials for that very exquisite look. 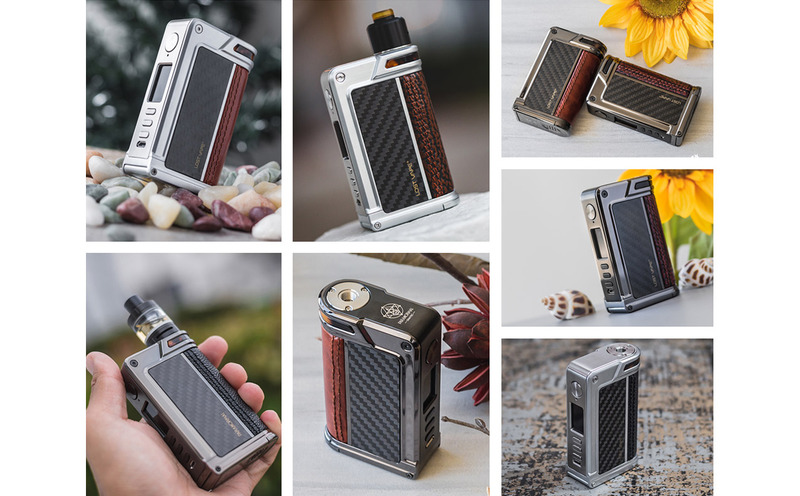 The new combination of leathers, woods, carbon fibres, artificial turtle shell, abalone and more to follow soon, makes the brilliant Paranormal DNA 75C standing out. Along with the smart DNA 75C board, the Paranormal also equips a dual 18650 battery configuration for the longest vaping experience before charging, but also a slight-out battery replacement, for easy battery swap.